Democrats in the “Independent Republic of Horry” are proud of our track record in opening opportunities for all citizens to participate in the Party and in local political affairs. Activists have fought long and hard against historical prejudice and misunderstanding to make significant progress in race relations, to expand access to Party decision-making, and to ensure that everyone has a chance to be heard. Today, the HCDP genuinely represents the diversity of Horry County. We are black and white, rich and poor, men and women, young and old, gay and straight, lifelong residents and new arrivals, and everyone in between. HCDP relies on the wisdom of the long-time residents who have much to teach about the history and communities in Horry County. And, we embrace the energy, enthusiasm and ideas of new activists moving into the area. Horry County Democrats uphold the Democratic National Committee core beliefs that we’re greater together than we are on our own – that we all succeed when everyone gets a fair shot, everyone does their fair share, and everyone plays by the same rules. Democrats strive to ensure that all people have an equal opportunity for “life, liberty and the pursuit of happiness” regardless of race, ethnicity, gender, religion, sexual preference, or able-bodiedness. We believe that equal opportunity is found when all children have access to quality public education from pre-K to college, when we fight discrimination in all its forms, when children and families have decent housing and health care, and in leveling the playing field so everyone gets a fair shot at earning a living in this free market economy. Universal access to quality health care is essential for a strong society. The Affordable Care Act – Obamacare – has made it possible for nearly 18 million previously uninsured people to obtain coverage and access to desperately-needed medical care. But challenges remain: the South Carolina legislature has refused to expand Medicaid, leaving hundreds of thousands of hardworking, low-income adults at risk of losing everything in a medical emergency; and with seniors as the fastest-growing group in America, Medicare and Social Security must be strengthened, not weakened. The right of every citizen to vote is the absolute foundation of our democracy. Democrats believe in making voting easier, not harder! We must expand early voting and on-line registration. All high school students should be automatically registered to vote by age 18. Polling places should feature the latest technologies, not paper and pencils. The practice of gerrymandering – when voting boundaries are drawn so that politicians pick their voters, rather than the other way around – must be ended. Redistricting at all levels should be a non-partisan responsibility. Clean water, fresh air and safe, renewable, reliable energy sources are essential for a strong economy, healthy environment, as well as our national security. In Horry County, protecting our pristine coastline from the potential disaster of oil spills from offshore drilling is a top priority. Our nation must accelerate the transition to produce and sell the energy of the future. Wind power is now cheaper than dirtier fossil fuels. Solar energy is saving Americans tens of millions of dollars a year on energy bills, and employs more Americans than coal — in jobs that pay better than average. 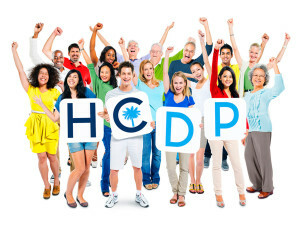 HCDP and its local Democratic clubs actively support the Democrats Care! 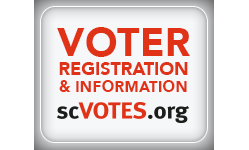 initiative of the South Carolina Democratic Party. People of all ages and abilities are welcome to pitch in as we support local food banks and youth shelters, collect school supplies for children, conduct highway trash clean-ups, and assist agencies that help people in need. Please won’t you join us? Check our Events Calendar often to stay updated on upcoming Democrats Care! activities near you. Want to get more involved with our Party?